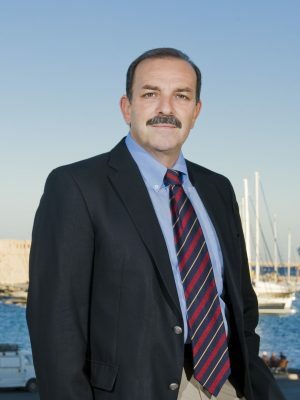 Chief city of the Island and of the Dodecanese administrative region. In the northeast of the Island of Rhodes, the medieval city of the same name opens into a harbour bay. Very close to Anatolia and not far from the Levant, Rhodes was on the maritime routes of the Mediterranean eastern civilisations, as well as on those of the entire Mediterranean. The upper city is made up mostly of rectilinear streets organized around a main artery. The lower city, which is much broader and irregular in shape, is crossed by arteries, streets and lanes that lead to small squares. A 4 km. long rampart dating to the early 14th century surrounds both parts of the city. The density of monuments in the two parts of the city is impressive. The “collachium,” or the upper city where the Knights resided, is the most monumental; it contains the Place of the Great Masters, the inns of the Knights and the hospital. The “borough,” or lower city, is larger and contains, in addition to other buildings dating to the period of the Knights’ occupation, Islamic monuments from the Turkish period, including mosques, a bath, and vaulted lanes. In the 3rd century B.C. Rhodes constituted a major maritime power and an important centre of Hellenistic civilisation. At the time of the Crusades, it was a port of call for Christian ships. The Knights of Saint John of Jerusalem berthed there in 1306 when Rhodes was ruled by the Genoese. In 1291, the Knights had lost Rome’s last remaining Holy Land bastion, the Fortress of Saint Jean d’Acre. The hospital and military order of Saint John of Jerusalem occupied Rhodes between 1309 and 1523. During this period, the city had a reputation for impregnability; the Knights defended it successfully against seiges by the Sultan of Egypt in 1444 and against Mehmet II in 1480. In 1522, however, following a long seige, they surrendered to Soleyman II; from then on, Rhodes was ruled by the Ottomans until 1912.